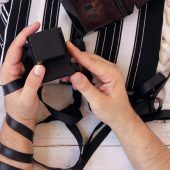 May Your Wife Help You Put On Tefillin? Should I Wear Tefillin During The Bris? Where Should You Place Your Tefillin? I Put On The Tefillin Shel Rosh First- What Now?